PMN Central Link hosted by Kastom Gaden at Burns creek maintains a seed bank for members. Small quantities of seed are available for members – limit of one packet per variety. If you want more packets you can purchase them. After taking seed from PMN members are encourage to save their own seed for replanting – encouraging self reliance. But if you should lose that variety then you know you can come back to PMN or other members to get it back again. In this way sharing seeds contributes to food security. The following seeds are now available from PMN seed production and the seed bank. 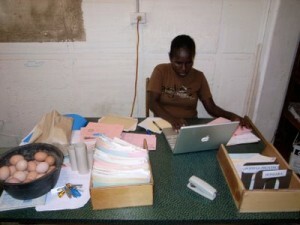 Please send in your requests to Ms Rita Amiki who is in charge of seed production and the seed bank. For more information or to order seeds contact Rita Amiki – the central link seed curator. Other varieties may also be available. For sweetpotato, cassava and african yam varieties contact your nearest germplasm centre.